Everyone's talking about AI. Right now, we have rudimentary virtual assistants, are developing behavioral algorithms, and backflipping robots. The future promises everything from synthetic humanoid robots to conversational AI and the technological singularity. AI’s potential is equal parts exciting and frightening. But does it affect you right now? Artificial intelligence in the enterprise is somewhat more tangible. A survey commissioned by Microsoft found that businesses expect AI to have a positive impact on growth (90%), productivity (86%), innovation (84%), and job creation (69%). It’s almost unanimously agreed that AI can transform the way we work today, for the better. As impressive as they are, we don’t currently need backflipping robots. We need AI that's going to help us work smarter to achieve more. And that starts by improving the common business processes and technology platforms of today. In this post, we’ll explore how artificial intelligence is embedded into Office 365 and is improving information sharing on the platform. The technology market leaders MAGA (Microsoft, Apple, Google, Amazon) are pushing AI forward - in both the consumer and business worlds. By embedding AI technologies into their offerings at no extra cost, businesses have access to sophisticated technologies without having to invest in building their own algorithms and platform. This type of model is essential if AI is to continue progressing at such an impressive rate. Microsoft has made a concerted effort to make AI accessible to every organization on the Office 365 platform. 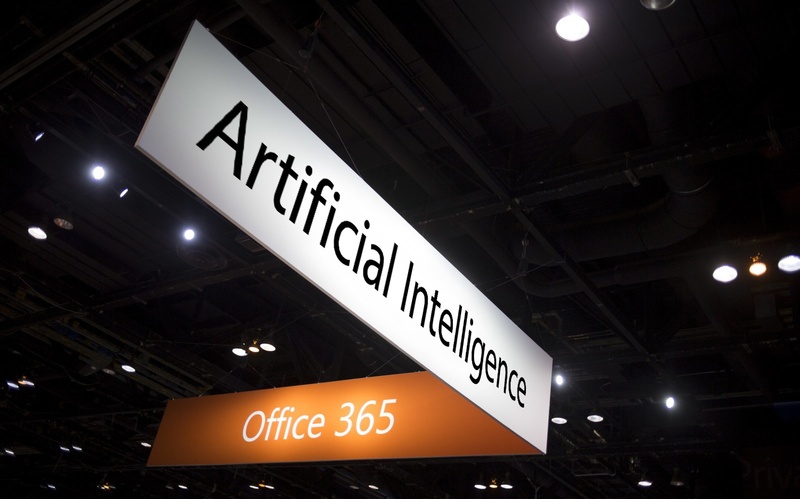 With innovations from document translation to intelligent threat detection and bots, Microsoft is continuously pushing AI to enhance the productivity of Office 365 users. 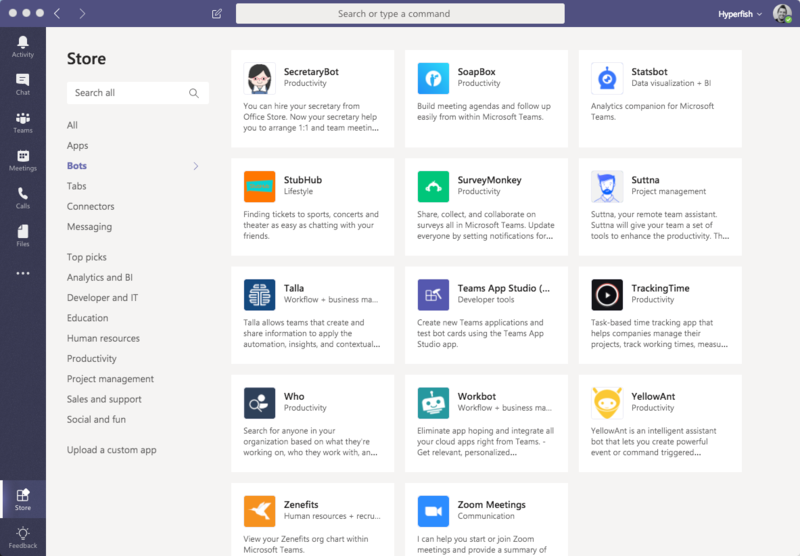 Microsoft Teams is the best way to get started with bots in Office 365, with over 50 already available. From creating polls to giving individual comments ‘kudos’, the growing list provides a number of additional features to improve the user experience and help colleagues communicate with each other. The tool also supports the Microsoft Bot Framework, allowing third parties to build and deploy their own intelligent bots. Check out a list of some of the best Teams bots here. The drawback: While bots in Microsoft teams help you talk to employees, it can’t help you find the right team member based on their title, location, or skills. Particularly if organizations have disparate locations and remote workers, as is increasingly the case, Microsoft Teams remains a tool for talking to the people you already know. The Microsoft Graph is an API from Microsoft that allows access to information in Office 365. Working behind the scenes, it collates information across all Office 365 apps—from Teams to Outlook to SharePoint—and indexes any content it deems useful to the user. This information can be used by organizations in their own apps and it is used in Microsoft provided apps like Delve. The drawback: The Microsoft Graph algorithm isn’t perfect. ‘Relevant’ content also includes information and documents that other people in your organization find popular, not just you. So sometimes, the information pushed to you isn’t all that relevant. The Graph also doesn’t have a dedicated UI but is accessed through Delve, potentially hiding it from unaware users. Both Microsoft Teams and the Microsoft Graph suffer from a lack of useful employee information. Teams is great for contacting the people you already know but cannot help you find new people. While this might not seem like a problem if you work in a small office, in large orgs Teams won’t help you build a new project team or find subject matter experts. In theory, this is what the Microsoft Graph can help with, but the lack of accuracy means the information pushed to you isn’t always relevant. 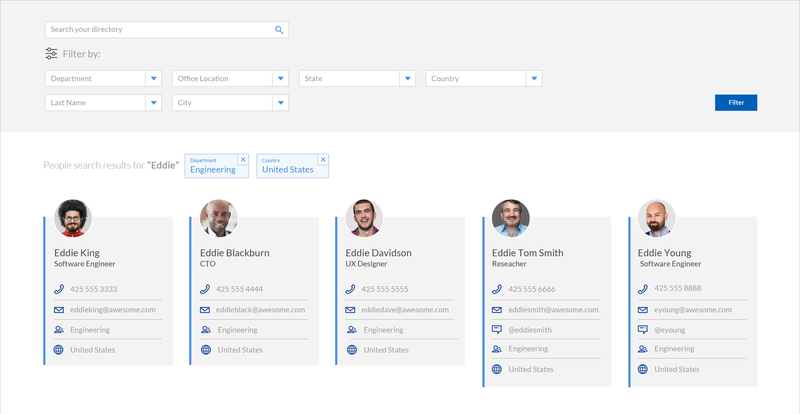 Employee directories are a centralized hub for accurate and up-to-date employee information. An employee directory will include common information like an employee’s personal and professional details, but can also include attributes like skills, education, and certifications to help define ‘who’s who’ in a company. While this may have been performed manually in the past, artificial intelligence can make the process of adding information much easier and allow everyone in the organization to find people and knowledge quicker than before. Over 80% of organizations are missing information vital to success in Office 365. 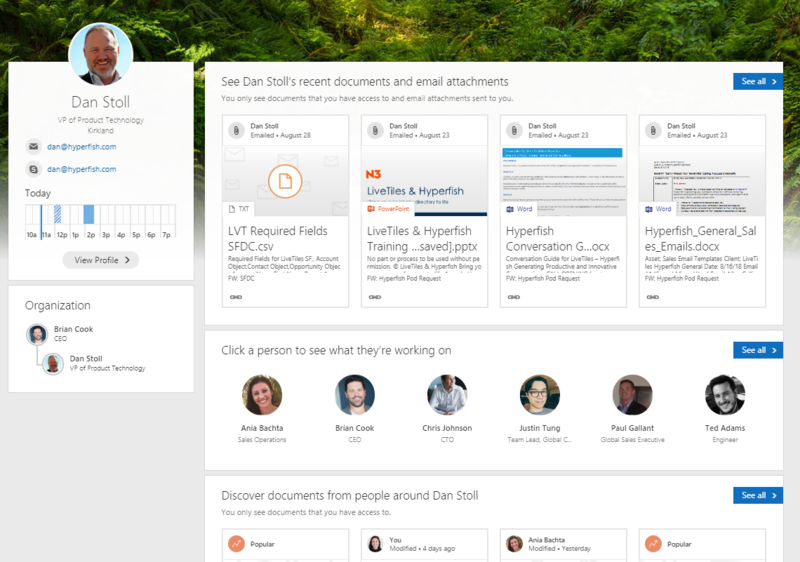 Hyperfish uses AI and bot technology, to ensure consistency and compliance in Office 365 employee profiles. Hyperfish automatically monitors your directory/directories to pinpoint any information that’s missing or invalid. It then notifies users of what’s missing via chatbot and helps them add it through an easy-to-use interface available on whatever device they’re using. Hyperfish has helped organizations achieve 300% improvement in profile information accuracy. 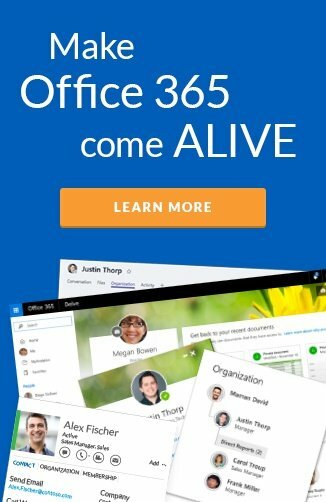 Employee profiles fuel directories and the Office 365 tools that employees use every day: Outlook, SharePoint, Teams, etc. It also underlies business tools like employee directories and organization charts. Find out how Hyperfish can bring your Employee Directory to life through AI. If you’re already convinced, get a free demo of Hyperfish today! Dan Stoll has spent 20 years helping global organizations implement and maximize their returns from Microsoft technologies. He has specialized in enterprise rollouts of SharePoint since it’s earliest versions and delivering business value through customizations and third-party add-ons.